If you are an angler or you love chasing rainbow trout, Lake Tarawera fishing will giving you an inspiring experience. 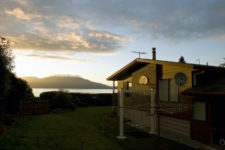 For those that love fishing, they will be spoilt for choice once they get to Lake Tarawera as they can opt to fish in Otumutu Lagoon Bay, Hot Water Beach and Humpries Bay. It’s a scenic lake that allows you to enjoy fishing at its best. The waters in the lake for trout habitat since they are not only clear, but they are deep and clear. This makes fishing Lake Tarawera exciting. There are many Lake Tarawera fishing spots that can be reached by boat while some others can be reached when you are ashore. In the areas where there is road access such as in the western bays, anglers can fish while in the shore but in isolated bays where there is no road access, the fishing is boat-based. 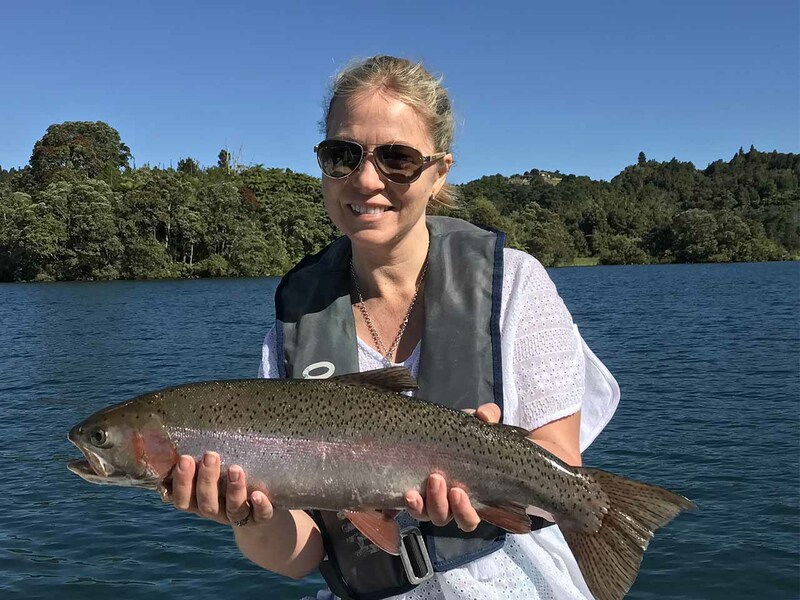 The one advantage of fishing Lake Tarawera nz is that whether you are overly experience or you are a beginner, you will find a fishing spot that suits you. The locals are very helpful in identifying these fishing spots. If you would like to join other anglers, you can to the Landing where you can take Lake Tarawera fishing charters. For fly-fishing, Te Wairoa stream mouth which is a spawning area is known to be a perfect spot. Waitangi and Rangiuru Bays as well as the Landing are all great fishing spots. The environment is pristine and the deep clear waters makes trout fishing Lake Tarawera nz top-quality fishing spot. Large rainbow trout comes from this beautiful lake and the numbers are quite impressive. During the Lake Tarawera trout fishing season, you will not only have a chance of catching a trophy trout of over 6kg, but you also learn what different water temperatures dictate. Cold and wet weathers or moonless nights increase the chances of catching a Tarawera trout. Besides the rainbow trout, there are also Lake Tarawera eels found here. While fly-fishing based on the shore is perfectly done from late March to July in Landing and Rangiuru, trout fishing is perfect in summer. Tarawera lake fishing is also possible in shallow waters despite the fact the fish seems to move to deeper waters. To fish with a promise of catching a trout in shallow waters is to do so either late in the evening or early in the morning. Since rainbow trout loves cold waters, you can use a sounder and a gauge to identify water temperatures. Trout are very predictable since they do not react to the offerings of your lines. It is you to mover where they are. Trout fishing is an interesting activity to engage in. experts advise that to woo trout when you get to them, you can use more colors of lead, downriggers, wire lines or even by jigging. Rainbow trout are what make fishing Lake Tarawera New Zealand a fun activity to engage in.